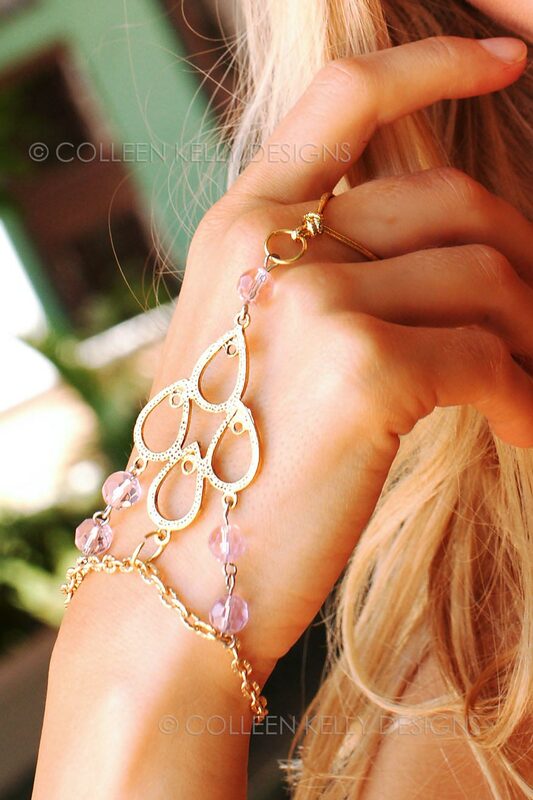 Add a touch of accessorized-style with this beautiful piece of jewelry designed to be worn over the wrist and finger. Influenced by the ornate crystal chandeliers hung in classic Italian pavilions, this hand piece is fashioned in a combination of gold medallion, gold chain and pink-hued crystal beads. One size fits all.